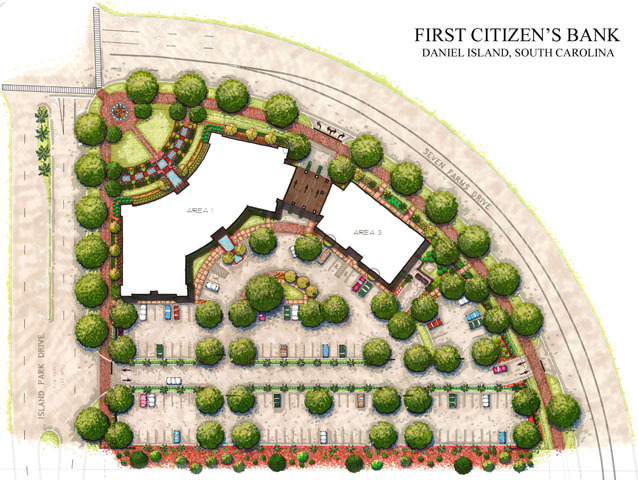 The First Citizens Plaza project is a 3.10 acre project with approximately 50,000 square feet of office/ retail space at the entrance to Daniel Island Town Center. 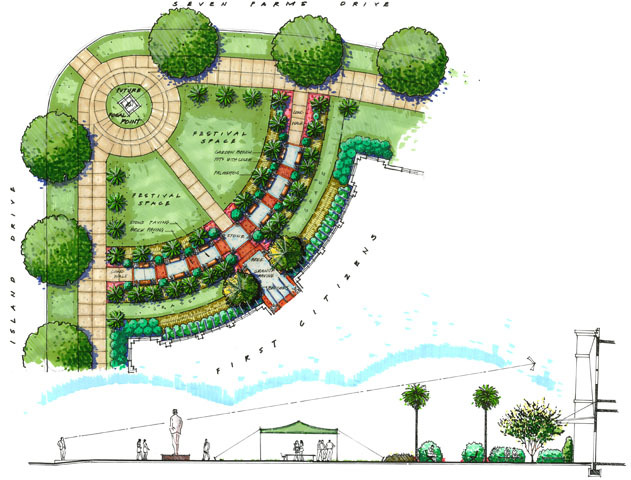 Building and land- scape were designed together to symbolize the gateway of Daniel Island, while providing public and private gatherings space in an urban setting. 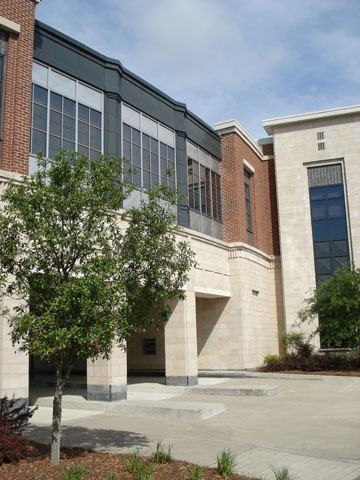 Components of the project include a festivities plaza, a retail plaza, garden sanctuary, drive-through tellers and ATM, and 150 parking spaces with service areas.